Bringing a pristine finish to every vehicle under your ownership, Sparesbox carries the finest boat washes, caravan cleaners and motorhome cleaners, all of which are manufactured by the world's finest companies in car and marine care. Caravans and boats share similar traits, in that they're some of the vehicles most susceptible to the harsh elements of wind, water and UV exposure. After a long day on the water or a lengthy trip on the road, both boats and caravans require specialised cleaners that help to strip away water, salt, dirt and contaminants from their shells, making sure they look great and continue to serve their protective function. After a good clean, many boats and caravans can then be protected further with a coating of wax or polish, but a good clean is the most important step in maintaining the life of any boat or RV. Spares Box carries only the finest boat wash, in the form of Meguiars Marine Gel Wash. Completely pH balanced and safe to use on any boat wax without stripping it off, Meguiars Gel Boat Wash forms a rich layer of suds that works effortlessly to strip away salt spray, excess water, bugs and dirt from your entire boat. Meguiars Marine Gel Wash really is the most luxurious cleaning experience you can give your boat, and ideally suited to the a rinse down after a great day out on the water. 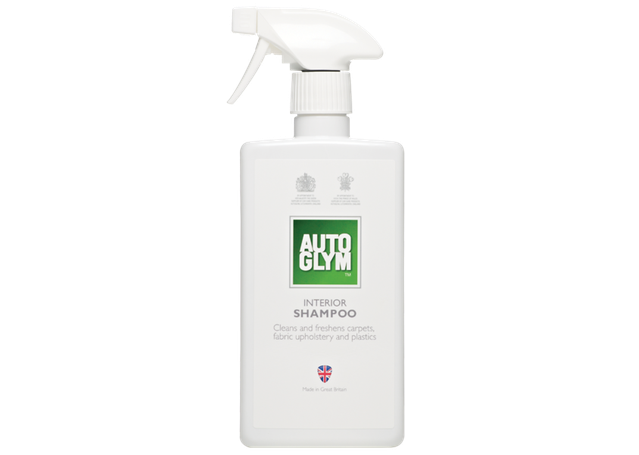 Spares Box also stocks Autoglym Motorhome & Caravan Cleaner, a specialised caravan cleaner that's ideal for spraying on and rinsing off the fibreglass shells of all recreational vehicles. It's gentle, protective formula goes onto large surfaces effortlessly and helps to keep them protected from exposure to the elements year round, making sure your caravan or motorhome is always ready for the next holiday. Talk to any avid boater and you'll know just how much love they have for their watercraft. Spares Box carries a great range of boat polish, boat wax and specialty marine care products to keep any vessel looking as good as the day it first took to the water. Boats are some of the most heavily punished vehicles in the world, either being left in salt water for incredible amounts of time on end or being driven through rough seas and salt spray on a regular basis. For this reason, the fibreglass and plastics that form the hull of most marine craft is susceptible to picking up scratches, oxidation and salt damage that can have a massive effect on the way your boat looks. For this reason, we stock a great range of different boat polishes and boat waxes. Acting in a similar fashion to how car wax and car polish does on your vehicle's paint, boat polish helps to remove salt, water and oxidation from fibreglass and paintwork, while boat wax helps to form a protective barrier and give your paint a rich gloss which lasts through exposure to both sun and sea. Spares Box is happy to stock a massive range of different boat polishes and boat waxes, all of which are designed to restore a pristine shine and lustre to your boat, whichever colour it may be. Check our Meguiars Oxidation Remover for cutting through oxidised paintwork that's been left dormant for a long time, and consider investing in Meguiars Colour Restorer if your watercraft's paintwork is lacking the vibrance it once used to have. For all purpose polishing and waxing after a day on the water, check out Meguiars High Gloss Boat Polish and One Step Cleaner Wax.